That’s right, all other factors equal, divorce means that your car insurance premium will go up. You might lose certain discounts (like Multi-Car or Homeowners) depending on your circumstances, but you might also pick up new ones (such as the Claim-Free discount). Driving records are also a major pricing factor. So if your ex has a spotless driving history, your rate may rise when you remove the ex from your policy. But if you’re the safer driver, you might soon be enjoying a lower rate. The cost of vehicle-protecting coverages also corresponds to the value of the cars they’re protecting. If you are not keeping the policy, call your current insurer to find out about your options. If you feel like trying a new insurer — and possibly saving some money while you’re at it — call IPA at 480-981-6338 or look around the site, there is an option to quote! Just make sure your new policy starts before your old one to avoid a gap in coverage. 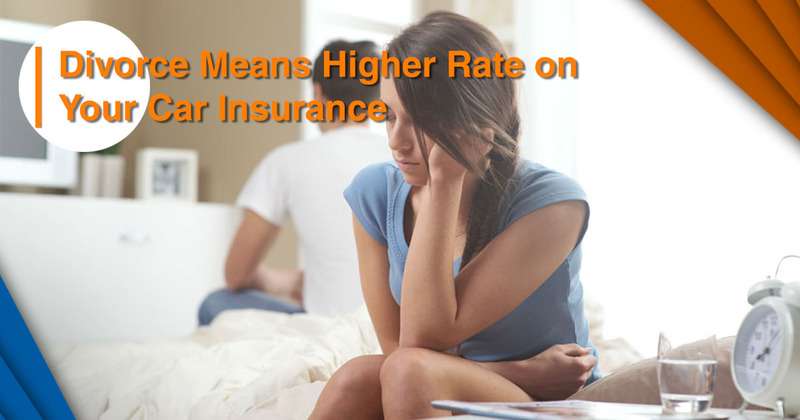 How divorce can affect your car insurance rate? Almost all insurance companies prefer married people who tend to have more children, which tends to lead to safer driving. Statistically, single people are paying over 5% higher car insurance premium then married folks. For some insurance companies the rate is even higher then 10. Not counting the multi-car discount. When you are getting quote even you are separated, always choose “married” option. Some insurance companies they don’t have “Separated” option. So choosing “Separated” option during the quote is same like choosing “Single” option. Technically you are married even if you don’t leave together. So choosing this option is not a crime or misrepresentation on your application. If you’re moving to a new state or town, update your garaging address with your insurer to ensure an accurate rate. But moving can also sway your rate in the other direction. If you’re heading from the city to a rural area with less crime, or to a city with good public transportation (which could help lower your annual mileage), you might see a corresponding drop in your premium. And if you’re moving to a new state, your insurance needs might change, too.